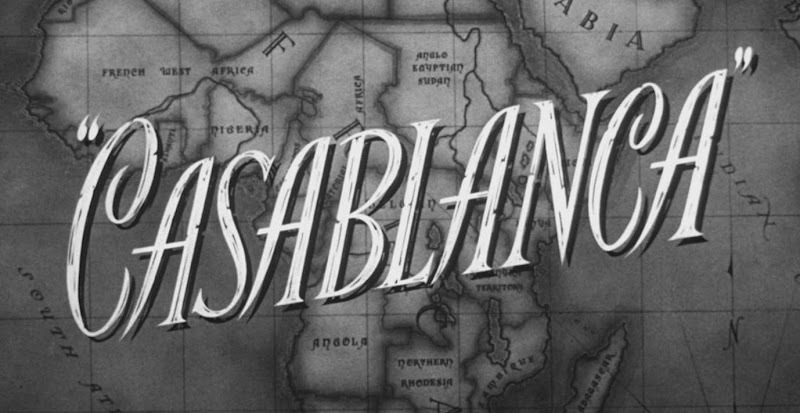 Last night I made my way to the cinema to see a special TCM screening of CASABLANCA in honor of its 70th anniversary. It was not meant to be a solo adventure, but plans fell through, and going alone was a small price to pay for seeing one of my favorite classic films on the big screen. Going to movies alone is not something I mind, as there’s no pressure to make sure your moviegoing partner is entertained, no arguments over how to define prime seating inside the theatre (or sacrificing a preferred seat out of respect for a companion’s preferences), no awkward post-movie attempts at polite discussion when opinions don’t line up. 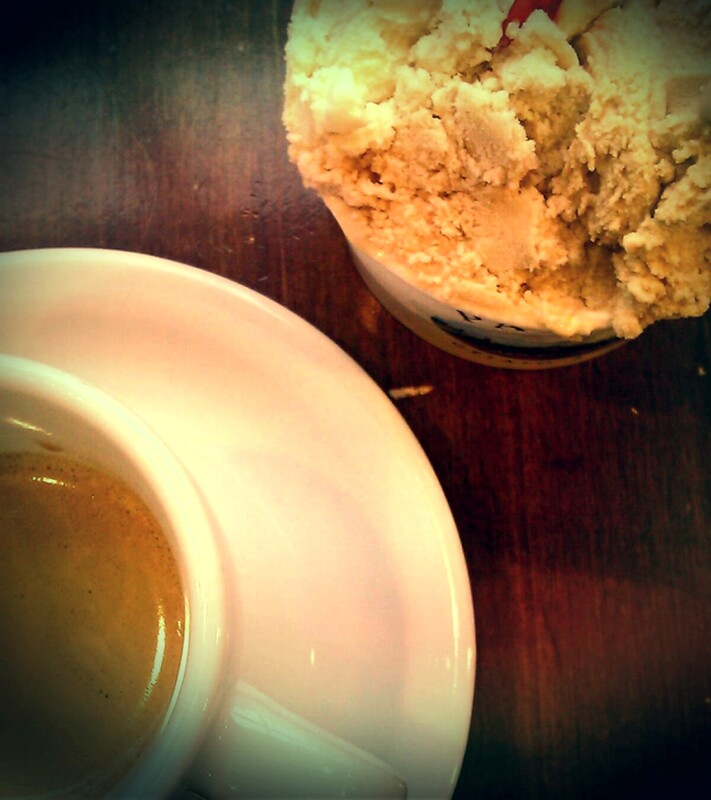 There is also the added benefit of being able to treat oneself to a three-course dinner of espresso, gelato and an entire container of curly fries, with no judgment except perhaps from nearby strangers who glimpse the solo wolfing down of said fries , but who cares about them? The other perk of solo moviegoing is there’s no need to dress to impress anyone, to look cute or pretty or anything beyond socially presentable. You can go above and beyond, of course, and that can be fun, too. But last night I opted not to change out of my working-from-home uniform of jeans, sambas and an old, comfortable, combination hoodie/three-quarter-sleeved T. I was not alone in my wardrobe choices that night. The crowd was filled with Ts and sweatshirts, with a sprinkling of having-come-from-the-office button-downs and slacks. I found myself trailing behind them as I walked into the theatre. His white hair matched his crisp suit, which looked like he might have stolen it right off Rick’s back. His shoulders were slightly stooped, but his steps were sure as he led the lady on his arm into the dark. She was wearing a dress, black with tiny white polka dots, the silhouette straight out of the 1940s, complete with back-seam stockings and hair styled into victory rolls. 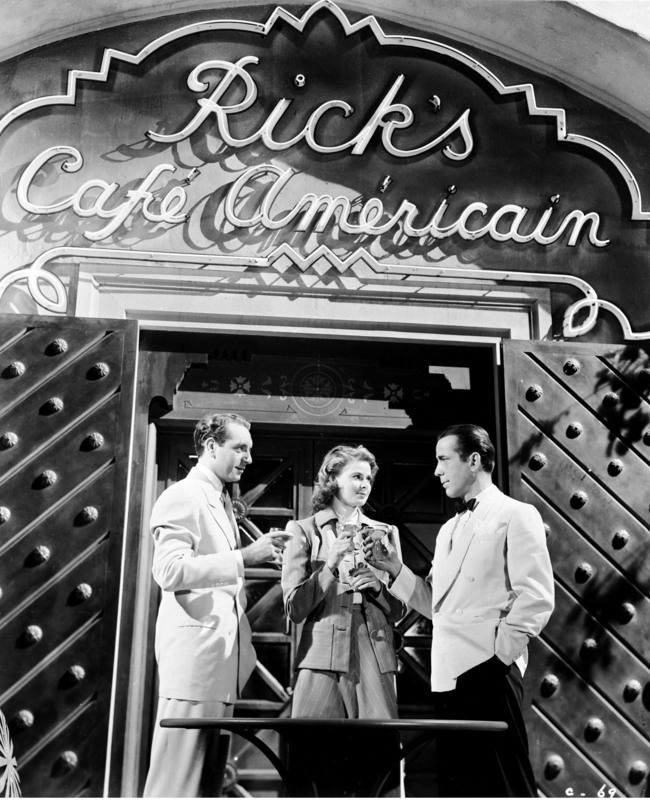 They could have walked right into Rick’s Café Américain and looked just right. After a momentary wave of guilt for my own attire and casual treatment of the event, I began to wonder about their story. They were old, but not ancient, and they seemed too spry to have seen the film in its original release, but the way they whispered secrets and shared smiles suggested it was a special night. The magic of the moment in the dark hallway was broken a little when we emerged into the crowded theatre. They found a couple of seats much too close for my tastes, and I hoped that they would have disagreed with me. For no logical reason, I wanted their night to be perfect. I entertained the fantasy of an alternate universe where the theatre had balcony seats, where the two could watch from above the dressed-down masses, focused only on the film that meant so much and each other. The lights went down, and due to some glitch, they never came back up, even after the film had finished. I didn’t see them as I left, and they’d seemed so unlikely all along that I half began to wonder if I hadn’t imagined them. And since that’s less fun, I I reasoned that perhaps they were just time travelers, having a bit of fun on a day off or enjoying the perks of retirement, and had decided to skip the rush out in favor of other nostalgic adventures. Before I knew it, I’d reached my car, and the threads of the little fantasy I’d been creating drifted away. But then again, we’d all time-traveled a little that night, hadn’t we? The silent gasps when Ilsa comes through the door and back into Rick’s life. The angst as the rain washes the words from Ilsa’s note. The chills as the Marseillaise overpowers the Deutschlandlied. The heartbreak of a reunion cut much too short for all the noblest reasons. It’s a wonderful reminder that stories have sometimes-unfathomable power — to move us, to teach us, to break our hearts and mend them, and yes, to transport us to places we’ve been, places we’ll go, and places we’ll never even see. Like Casablanca in the midst of World War II. Unless, perhaps, you’re a time traveler, enjoying a night out with your girl. Really? How strange! I’m in Kansas City. 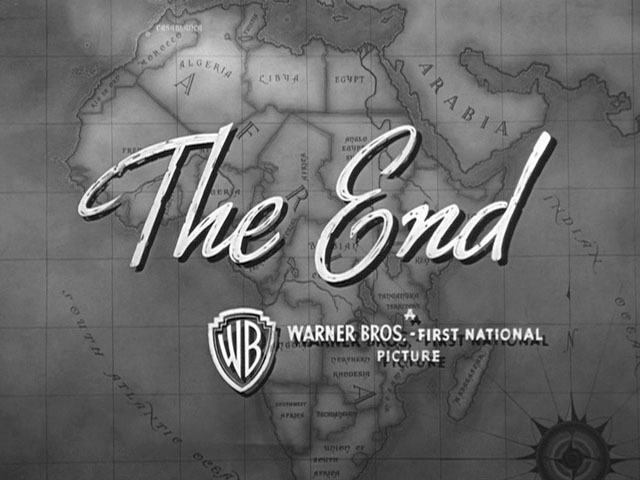 Maybe something to do with the end title rather than end credits!